Here are five reasons your children may not want to go to church and how you may be able to change that. I know of several people who became discouraged by Christianity and church, mainly because of their parent’s hypocrisy. They tell me that their parents are one way at home, and another way at church. When I hear people say that the church is full of hypocrites, I heard one man say, “Well, there’s always room for one more!” The truth is, the world is full of hypocrites, and we are all in some ways a hypocrite from time to time, but when it’s clearly a double life that parents are living, they are causing their kids to see religion as a show, instead of a personal relationship with Jesus Christ. I know I must raise my hand and plead guilty. I think we all must, but when it’s drastically different, almost like Jekyll and Hyde, then that does present a problem. Children might see that church is a game where you act one way but live another way. Some things you say at home, you never say at church. It’s like their parents are leading a double-life. Again, I plead guilty, so I strove to be more diligent and authentic, instead of acting one way in church and another at home. Any child that has been born again, should exhibit at least some desire to know more about Christ. A person, young or old, who’s become a new creation in Christ (2nd Cor 5:17), will have new desires and passions, and for some, they’d do almost anything to get to church to learn more about Jesus, however, if there is no Bible reading, noticeable prayer life, or any interest in God or the Bible, your child might not be saved. You can’t expect someone who’s not received the Spirit of God to desire the things of God. It could be that they have never had the gospel presented to them. Maybe they don’t know what repentance means or what it means to put one’s trust in Christ. Maybe they don’t even know what it means to be saved or how to be saved. Are they even convicted about their sins? If not, they might not be saved. It could be that God’s not brought them to repentance yet, if He plans too, or maybe God’s not called them yet. We can’t always know what’s going on in their heads. All parents can do for their kid’s is to pray for them, love them, and trust God with their souls. Years ago, I attended a church where we had one of the most gifted children’s teachers I knew. While they were having church services on Sunday morning, she would take them downstairs and have a “children’s church.” She got so many of the young people involved in their “service” that they could not wait to go to church. 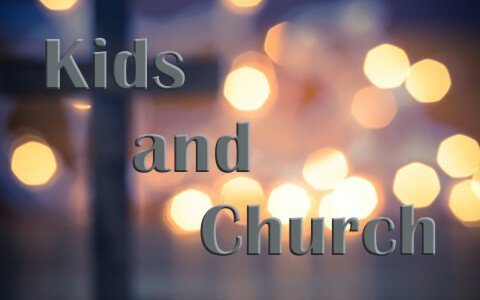 If your church doesn’t have a youth ministry, Sunday school classes, or at least, a biblically enriched nursery, then the reason your kids might not want to go to church is because there’s nothing for them to do. Think about this; children are asked to sit for an hour or an hour and a half, and remain still, be quiet, don’t move, and don’t be a distraction, but that’s hard for some adults to do, not to mention how hard it can be for children. There are certain children that find this especially difficult. When my oldest son was old enough to sit with us in church services, I would give him Bible-based activity books, with pages for coloring, mazes, dot-to-dot, word puzzles, and Bible verses. I’m not saying this solved everything, but it made it easier for him to sit for a long period of time. When he got older, I expected him to bring his Bible and try to follow along when the Scriptures were being read. This helped focus his attention a little bit more. I heard a mother once say that, “If I hear one more time that it’s boring, you’re grounded!” Of course her point was well taken. Life sometimes gets boring. The Bible never promises it won’t. That’s just the way life is. No child may want to go and sit and “listen” for an hour, but think about this; brushing your teeth is boring; going to the dentist and waiting for your appointment is boring; and going to the doctor for a physical is boring. We do all kinds of “boring” things, but these same things are sometimes absolutely necessary. Parents, we might not like it, but we just have to accept the fact that they’re not always going to love going to church. As long as they are underage, they don’t get to say where they go on Sunday mornings. My oldest son has his own children now (three of them), and he tells me that all those times in church where he sat and looked like he wasn’t listening, he really was. He says, not all of it went in one ear and out the other. Some of it stayed, and that’s good. Yes, children don’t want to go to church because they’re bored, but so is the patient who is awaiting surgery. They’re willing to be “bored” because they know it’s what they need the most. Every one of us will face God someday and give an account for every idle word and every idle deed, and we can’t say, “Wait God, let me go get my dad…Hold on for a moment God, let me get my mom.” No one will be standing there but you. Just like in a court of law, the judge won’t ask to meet your mom, or ask your brother to come forward. You will not be excused because you had a bad childhood. Yes, your parents were not perfect, but neither are you and neither am I! We will face God’s judgment over every work done in our lives (Rev 20:12) but, if God has brought us to repentance, and we’ve placed our trust in Christ, we’re not going to be judged for our sins. That’s done. It’s been forgiven. God doesn’t see the old us anymore; instead He sees Jesus’ righteousness (2nd Cor 5:21). This is a great article. One of my two girls, my youngest, goes to church every Sunday with me. My oldest doesn’t want to. I try to convince her there is nothing more important than her soul, that all physical things will pass away, but the spirit is eternal. Right now it seems to go in one ear and out the other. Pray for her. I pray that God will enlighten her one day as well, as well as my wife, who is in the same boat with her. My wife believes in God, but doesn’t feel she needs to go to church, even though it is a commandment. I was like that, until one day I felt the Holy Spirit stirring so strongly in me that I woke up. I hope and pray the same happens for them. Scot, I have prayed for your family, especially your wife and oldest daughter. What came to my mind to ask you is: have you considered doing a weekly family bible study in your home? Yes, we are to fellowship with other believers, but perhaps having a family home based bible study will be a great start. I would tailor it in such a way that it’s a fun time learning about intimacy with the Lord and family at a specific time every week, yet you and your younger daughter continue to attend your church, while Holy Spirit continues to work on them. I would not mention church during the family Bible study I would just allow Holy Spirit to bring that back to them. I would also pray Ephesians 1:17-23 and Isaiah 54:13-17 over them daily. I pray this helps, God bless, increase and prosper you in this endeavor. Thanks you for your prayers. I would have to say my wife and daughter would not participate in this. I keep trying to have casual conversations with them about it. If I force too hard, I fear they will tell me to not bring it up anymore. I wish Jesus would visit them personally and tell them to come back to Him. I have prayed for this. Next post: What Is The Difference Between Hell and The Lake Of Fire In The Bible?